With Chinese New Year quickly approaching, letting off fireworks is the perfect way to get into the festive spirit… but mind you don’t cause any explosions, like this unsuspecting child from Inner Mongolia. 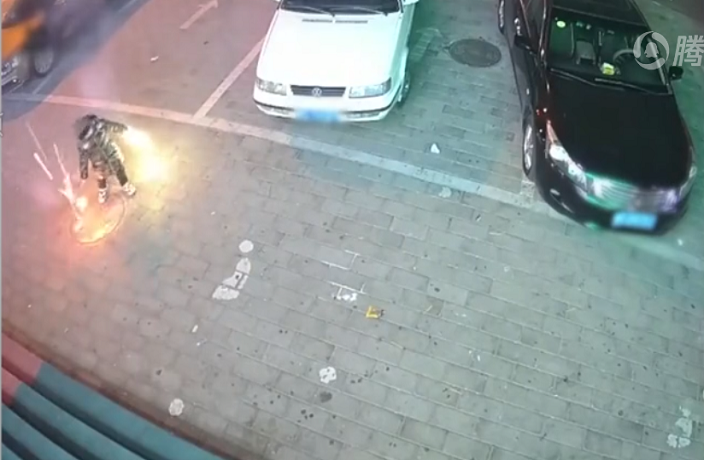 On January 30, the kid caused a rather large explosion in Chifeng, Inner Mongolia after plunging sparklers into a manhole. The explosion took place at around 7pm and caused bricks from the pavement around the manhole to fly into air, while a massive plume of smoke engulfed the area. As the video shows, the child reacted fast enough to run away from the explosion and, remarkably, no one was injured. However, three cars parked nearby were damaged by falling bricks. According to Southern Metropolis Daily, local police said that the case won't be investigated because the child has not yet turned 14 years old, the age when children begin to bear legal responsibilities in China. They added that compensation for the damage to nearby cars will be negotiated between the child’s parents and the affected car owners. Manholes are often filled with sewer gas containing explosive chemicals such as methane and hydrogen sulfide, which can easily result in a bomb-like explosion when coming into contact with a naked flame. The students were reportedly on their way back to class after finishing their morning exercises when a knife-wielding woman attacked them.